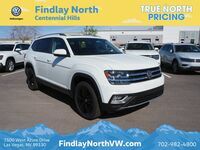 The 2019 Volkswagen Atlas is now available to you at Findlay North Volkswagen. This 2019 SUV has a long list of features for drivers in the Las Vegas area to indulge in while also being affordable. Have a big family? Don’t worry, the Atlas has got you covered there too with its three rows of seating. Drivers will have the choice between thirteen different trim levels of the Atlas. The trim levels consist of the S, V6 S with 4MOTION®, V6 SE, V6 SE with 4MOTION®, V6 SE with Technology, V6 SE with Technology and 4MOTION®, V6 SE with Technology R-Line, V6 SE with Technology R-Line with 4MOTION®, V6 SEL, V6 SEL with 4MOTION®, V6 SEL R-Line, V6 SEL R-Line with 4MOTION® and V6 SEL Premium with 4MOTION®. The design of the 2019 Atlas allows enough room for everyone on the inside while also keeping a sleek look on the outside. With eight exterior colors to choose from, there is sure to be one that fits your style. 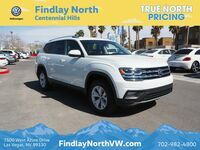 Continue reading to learn more about the 2019 Atlas or click on the button below to view our current inventory! Volkswagen wants to show you that they have confidence in their vehicles. To do this, they include a 6 year or 72,000 miles (whichever comes first) limited warranty on all their new Volkswagen vehicles. They also want you to have confidence while driving your vehicle, so they offer available driver assistance features. These available features include Adaptive Cruise Control, Blind Spot Monitor, Light Assist, Lane Assist, Area View, Park Assist, Park Distance Control with Maneuver Braking, Front Assist and Rear Traffic Alert. These assistance features will give you the extra help you need so you can drive with confidence to your destination. Drivers will enjoy the variety of convenience features that the 2019 Atlas has to offer too. Some of these convenience features include remote start, driver personalization settings, three-zone automatic climate control and more. 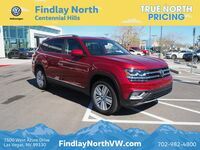 The 2019 Volkswagen Atlas has plenty more to offer. Click on the button below to receive more information!